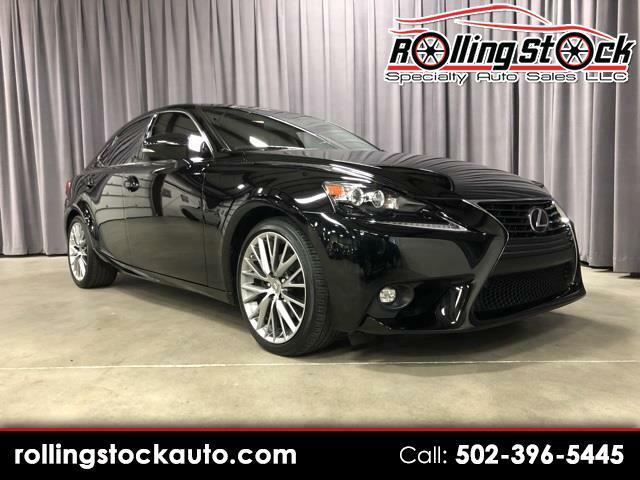 2015 Lexus IS 250 All Wheel Drive- Local 1 Owner New Car Trade that Was Sold New and Serviced at Lexus of Louisville. Clean Carfax Title History Although the Report Does Reflect Very Minor Damage to the Rear Bumper That I Can't Even Find. This Car Is One Of the Newest I Have Seen and It's Sitting On My Showroom Floor and Its Absolutely Spotless. 18 Inch Sport Wheel Package, Adjustable Sport Suspension, Heated and Ventilated Seat, Navigation, Heated Steering Wheel and Much More. If You Have Been Looking for the Perfect IS at the Perfect Price You Just Found It. Contact Cary Donovan 502-396-5445 To Schedule Your Personalized Appointment Today.